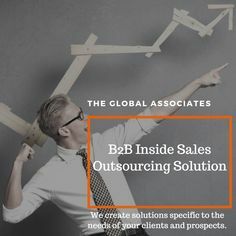 Reaching out to the important decision makers is an essential step in an organization’s effort to maximize The Global Associates Sales Lead Generation In India. Today’s top executives are extremely busy with a thousand fires to put out each day; boosting sales lead generation in India gets a tough nut to crack if one fails to convince these people to grant an audience. A lot of technologies are being used now-a-days for the purpose, however, understanding the basic elements of appointment setting and devising your strategies accordingly is the best bet to be more successful at this endeavor. Being over-aggressive doesn’t work anymore, making a good first impression is more important since a call lasts only a few seconds, the fate of your lead is decided right here. Following are some useful tips for mastering the art of appointment setting. Doing a thorough research about the prospect’s organization is the key to maximizing sales lead generation in India. A decision maker will grant an appointment only when they are convinced that the meeting is going to be beneficial for them. Their time is precious, find a solid reason before requesting for an appointment. You have a good chance of getting an appointment if you are well aware of their needs, issues and pain points before you call. Have specific solutions in hand and you will convince them with ease. Be generous, try sharing valuable industry trends and information even before you ask for any favors. Providing something valuable, something worth their time is the only way you can engage them. Offer to help them research their issues, promise some expert advice regarding their issues, run a report on the latest industry trends, they would find it prudent to grant an audience to know more about your organization. Adopting an inflexible approach while requesting for an appointment is never a good idea if you want to effectively boost sales lead generation in India. Go with the flow and try to see things from the point of view of the customer even if it’s not very convenient for you. Go ahead and agree if the customer prefers a video conferencing call instead of meeting you on-site. Don’t refuse if they want you to first meet one of their assistants and then approach them. Try a different approach if you fail to convince them the first time. A seemingly dead lead may turn into a goldmine if you follow the basic fundamentals of the trade of appointment setting and are persistent with your efforts.